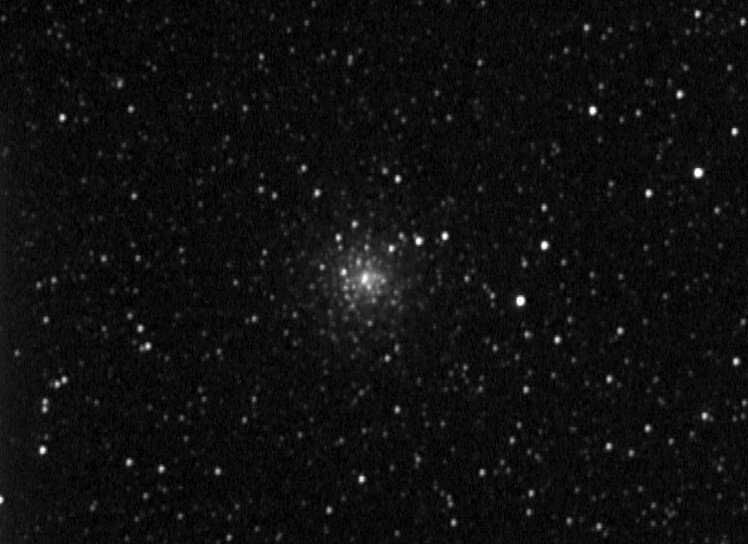 This globular cluster in Sagittarius was discovered by Messier on August 31, 1780 close to M69. M70 is of similar size (82 ly across) and almost at the same distance as its companion (35,200 ly). 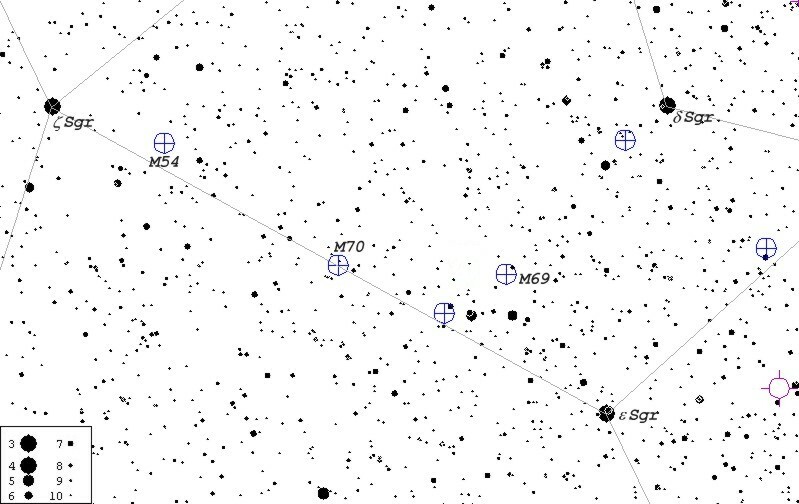 It displays prominent spiral "tentacles" of bright stars and can be spotted in binoculars exactly halfway between z Sagittarii and e Sagittarii (see finder chart below). 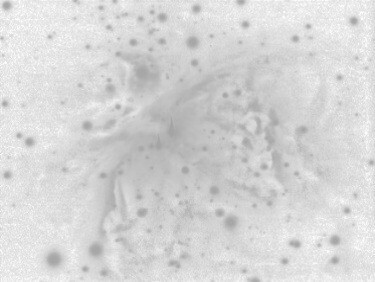 The above image was taken on June 3, 2002 from Harrowsmith , Ontario using Cookbook 245 LDC CCD camera on Celestron Ultima 8 f6.3 telescope. Twenty one white integrations (30 sec. each) were processed with AIP4WIN. North is to the right. Map created in Guide 7.0 - 7°45' x 12°. North is up.